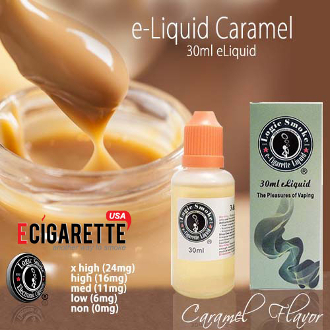 We have reproduced the chewy goodness that is caramel in the form of our Caramel E-liquid. This candy flavor gives you full caramel flavor without the calories. It also leaves a pleasant caramel aroma in the air. Pick up a bottle of our Logic Smoke Caramel E-liquid and enjoy.